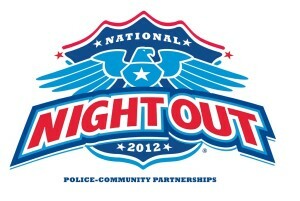 National Night Out – a nationwide event focused on crime prevention and strengthening communities – returns Tuesday, August 7, 2012. The event is designed to heighten crime and drug prevention awareness; generate support for, and participation in, local anti-crime programs; strengthen neighborhood spirit and police-community partnerships; and send a message to criminals letting them know neighborhood are organized and fighting back. From 6:00pm to 10:00pm, residents throughout the nation are asked to lock their doors, turn on outside lights, and spend the evening outside with neighbors and police. Neighborhoods throughout Sacramento will be hosting a variety of special events such as block parties, cookouts, ice cream, youth activities, and more. If you plan to host an event, download, fill out and send the participation form to Jeannette Bonner (Sacramento Police Department, 3550 Marysville Blvd, Sacramento, CA 95838) or by fax at 916-566-6467. The participation form is due by Monday, July 23, 2012. If you would like to block off a street for your event, the event fee will be waived; however, a Block Party Application will need to be downloaded and submitted to Special Event Services at 4623 T Street, Sacramento, CA, fax number 916-808-3565. The street is a cul-de-sac, dead end, or circular street. The section being closed is less than a mile in length and is intersected by two (2) other residential streets. Speed limit on street is greater than 25mph. Street is an arterial street with more than two (2) lanes. Street has a bus stop. Contact Special Event Services at 916-808-7888 for more information. July 17, 2012 in Crime, Event, Fun, National Night Out.